The recently concluded 2018 World Cup in Russia saw an unprecedented amount of television advertising for the gambling industry. While it may have netted ITV a considerable windfall, with a 30-second spot costing as much as £350,000, the television network is now facing a barrage of criticism. Researchers under the auspices of The University of Sheffield monitored the entire television advertising breakdown during World Cup telecasts. Even the bottom figure of 17% of adverts being for Internet-based casinos and bookmakers is enough to bring the ire of many detractors. It reported a figure of £2.5 billion having been bet in the UK on the World Cup. 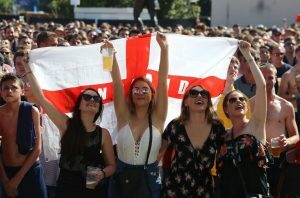 With England reaching the semifinal, the constant presence of gambling-related ads found an immense market for established and potential customers. The commercials were shown with such frequency as to surpass such traditionally strong advertising segments as the alcohol and fast-food brand industries. Astoundingly, gambling ads accounted for nearly four times those of the fast-food brands. A major factor in ITV’s ability to be able to place gambling advertising on programming for the World Cup is the provision in the UK that exempts live sports events from the usual pre-9pm restriction on gambling advertisements. With no stricture on the time of day, the audience could not be limited to a particular target segment of viewers. This meant children, young adults, and even those to whom wagering was never an interest, could be exposed, and potentially enticed by the adverts. A statement from the chief executive of GambleAware stated that this sort of advertising leads to the “normalization” of sports gambling, and gambling in general. TheTimes points out a tripling in the number of wagers made by women just since the last World Cup. The concerns of GambleAware Marc Etches go to the very root of creating new gamblers from children and teens throughout the UK. The interweaving of advertisements with sport and video games dilutes the interest in the activity itself and changes the focus onto the idea that one can make money off the outcome of these activities. Labour party deputy, Tom Watson, has joined in with GambleAware in calling for a mandated levy on the gambling industry. With a view to shielding children from potentially harmful advertising on video games, the ASA (Advertising Standards Authority) has banned advertisements from ProgressPlay, which were seen as specifically targeted children and young people. Whether ITV’s gambit proves to be more detrimental than it was profitable remains to be seen. Campaigners have been previously disappointed by lack of government regulation over gambling advertising. Bookmakers and online gambling entities experienced a profitable run over the weeks of the recent World Cup. However, with an estimated 400,000 problem gamblers in the UK, the campaigners are determined to stem this trend in advertising. Despite a widening demographic of those who gamble on such major events as the World Cup, it is likely that many viewers find the proliferation of ads goading them on to wager not really to their liking. Online casinos have increased their advertising budget by nearly 100% since 2012. It remains to be seen if they have reached the point of market saturation and, more essentially, public tolerance. mmm.. don’t know what to say about this. This is acceptable though. It’s what gambling business and marketing do. Helps them to be known entirely. Maybe, But there are youth who are watching. This should be taken into action.